Package your homemade baked goods and candies in inexpensive and pretty containers that enhance the gift. In an effort to be be more frugal with gift giving and to shun the over commercialization of Christmas, I like to give homemade goodies to my friends. Usually my mother and daughter and I spend an entire day baking and cooking. We make dozens of candies and cookies: fudge, fruitcake cookies, prailines, chocolate pinwheels, caramel corn, Santa's whiskers, and more. Then we package an assorment of the goodies into baskets, tins, bags, and plates for holiday gifts. Since we spend so much effort in making the sweets, we want the presentation to be beautiful. But to stay frugal, we need the packages to be inexpensive as well. 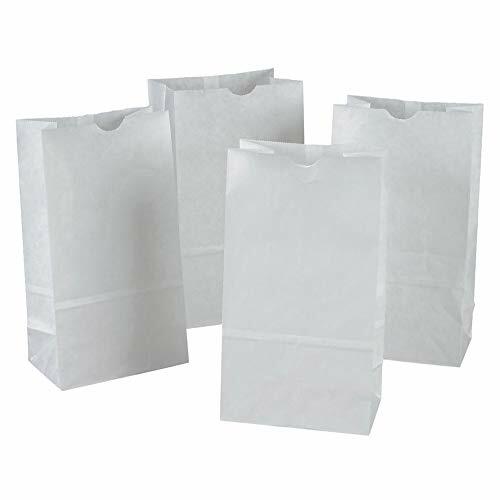 Over the years, we have come up with these simple ways to wrap our goodie bags. All of our friends are delighted with the homemade desserts and the pretty packages. We even get requests for seconds and for the recipes! To give away bags of caramel corn along with homemade bookmarks, I devised these very simple but attractive bags. The bags are white lunch sacks that can be purchased in most grocery stores. After inserting the presents, I folded over the top and used a hole punch to make a single hole in the top center, going through all layers. 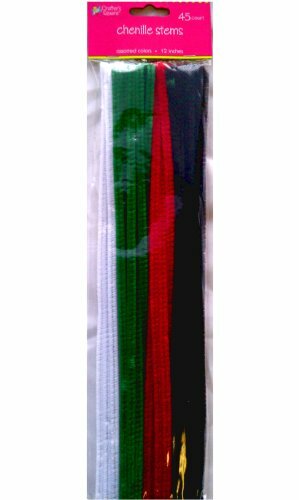 My pipecleaners were specially made for Christmas -- red and white twists and red, green, and white twists. You can actually twist them yourself or use solid colors. Instead of using disposable aluminum or paper products, use real plates for packaging your holiday cookies. Through the year, stock up on inexpensive plates that you find at yard sales or thrift shops. There are so many advantages to using real plates for your homemade treats! The plates are sturdy and will not crumple or buckle like aluminum, styrofoam, or paper goods. The plates are reusable and will not soon end up in a landfill after just one use. The plates are unique and pretty, giving your treats a classier appearance. Some of these plates are vintage and will remind the recipient of years ago. A full sized plate provides a large surface so your goodies don't get smashed together. TIP: Be sure to include a note inside your Christmas card or under the cookies, explaining that the plate is part of the gift. Otherwise, your friend will probably try to return the plate to you! TIP: Wrap the entire plate in clear or tinted plastic wrap to secure the goodies. Add a bow or other embellishment plus a pretty gift tag to make your homemade treats stand out. 60 Treat bags for chocolates, lollipops, hard candy, cookies and more. Perfect for gifts and party favors. Bags measure 4-inch by 9-inch and made of clear polyethylene. 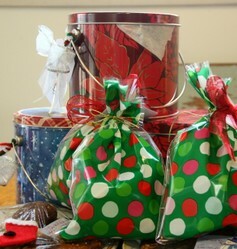 Of course, you can rely on commercially made tins and treat bags for packaging your Christmas cookies and candies. There are many designs and patterns, but a clear bag embellished with a pretty bow allows your beautiful desserts to be seen throught the packaging. Thrift store plates! What a stroke of brilliance! I love (making and receiving) homemade cookie and candy gifts - yours look very tasty! I usually prefer storing or giving away homemade goodies in tins but I like your idea with the plates, too. Especially keeping them handy throughout the year so you can use them on Christmas or other occasions. Simple mugs, e.g. colorful christmas mugs, serve the same purpose. I used to live near a great dollar store that had all kinds of cheap plates and mugs I'd use to give gifts - but your idea of including a note saying to keep the plate is a good one, so they won't be wondering! I mailed a big box of cookies to my son this year - it took me forever to box them up - but he got them and they weren't crushed! Your packages with the pipe cleaners are very cute. I love the idea of buying actual plates from Thrift Stores. I buy lots from these kinds of places but never thought of gift packaging!